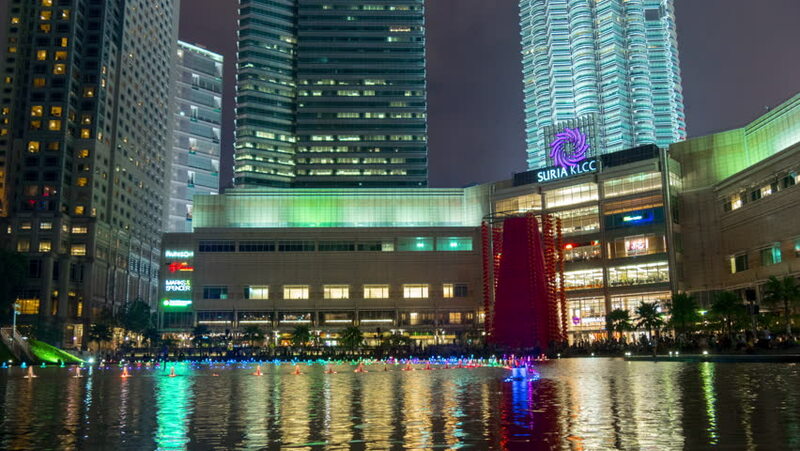 KUALA LUMPUR, MALAYSIA - JANUARY 2016: KLCC mall night light music fountain show 4k time lapse circa january 2016 kuala lumpur, malaysia. 4k00:14Kuala Lumpur, Malaysia - October 27, 2018: Establishing b-roll cinematic shoot of Petronas Twin Towers Symphony Lake. 4k00:08KUALA LUMPUR, MALAYSIA - January 30 2014: Colorful fountain display in front of Kuala Lumpur City Centre (KLCC), Kuala Lumpur dazzles the visitors to KLCC. Timelapse. 4k00:08KUALA LUMPUR, MALAYSIA - January 30 2014: Visitors throngs the lake in front of the Kuala Lumpur City Centre (KLCC) to watch the night fountain display.